Harmon’s Audio Visual has a complete, mobile video production system available for daily and weekly rental. We can supply up to 8 JVC broadcast quality cameras and can custom configure a system to fit your exact needs. Harmon’s specializes in broadcast quality multi-camera switching for corporate events, concert, and religious events. Our high-definition switching system will provide you with a quality product for TV broadcast or duplication.All recording is completely digital and we can also provide digital non-linier editing and post production services of the events we record. 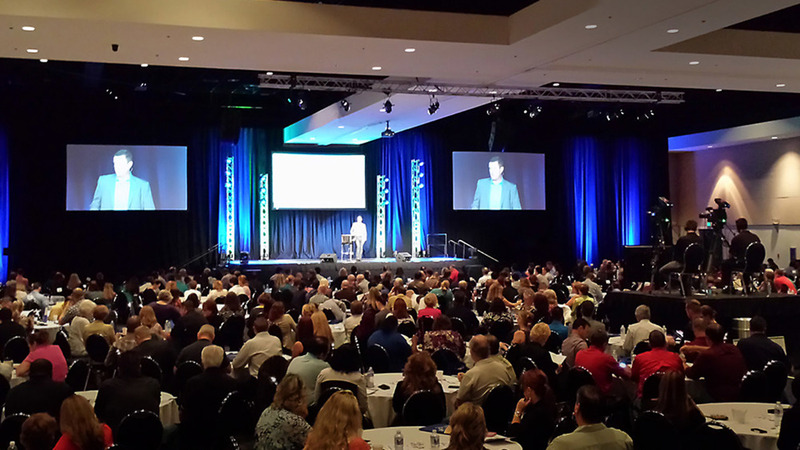 We can also provide large format projection screens for Image magnification for your event. We make every seat “the best seat in the house”. All of our video recordings are switched live, meaning that there is a director choosing which shot to record at any given time. This provides a finished product at the end of your event, saving you time and money in post production. A live switch also guarantees a consistent level of quality because one person is directing all of the camera operators. 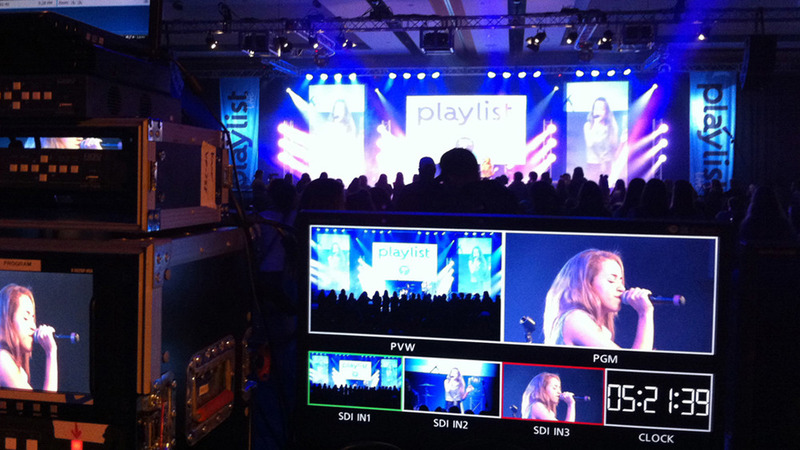 We can also record all of our cameras simultaneously allowing your event to be re-edited digitally in post production. Multiple packages and configurations available.